I was trying to think of an appropriately Christmassy post to end with on this blog before I disappear for a few family celebrations, but I've already shown you our Christmas setup at home, and my Christmas baking. That's when it occured to me that this photo project was possibly even more appropriate. 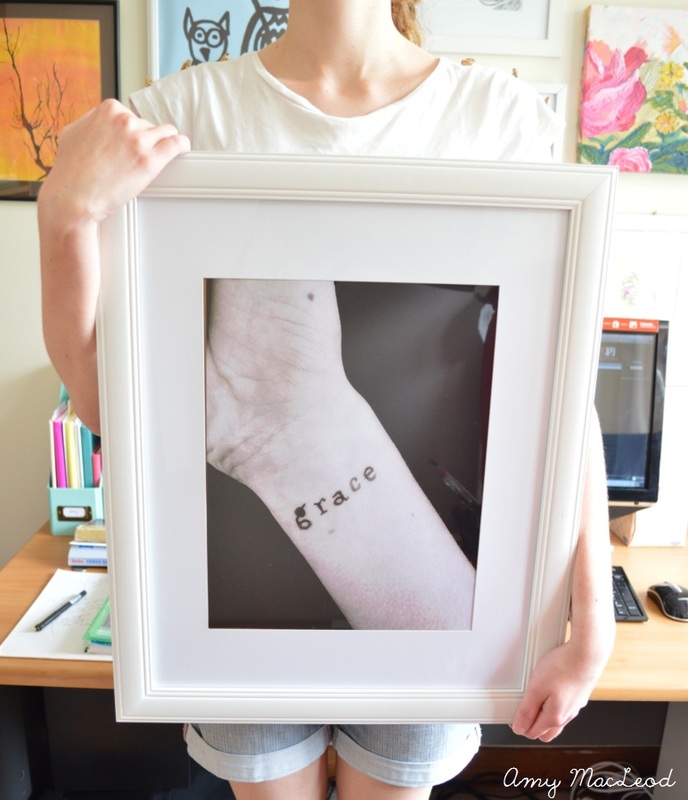 You see, during the year when I was sitting in my architecture class, I had a picture flash into my mind of 2 wrists with the words 'grace' and 'mercy' on them. I'm always getting pretty pictures popping into my head but this really stuck out to me. 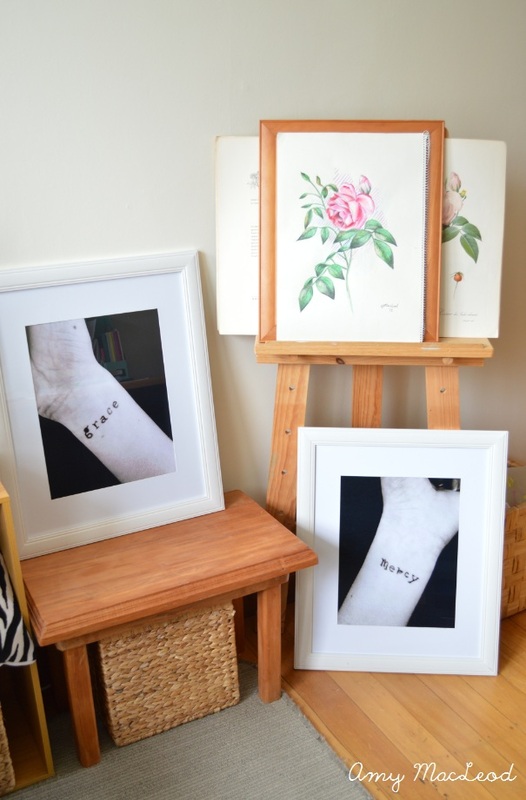 I instantly visualised them in white frames, and wondered when I should create them. The other day I penned the words onto my wrists and took the photos with my phone... it took a matter of seconds but looks exactly how I imagined, blown up into big photos and framed. 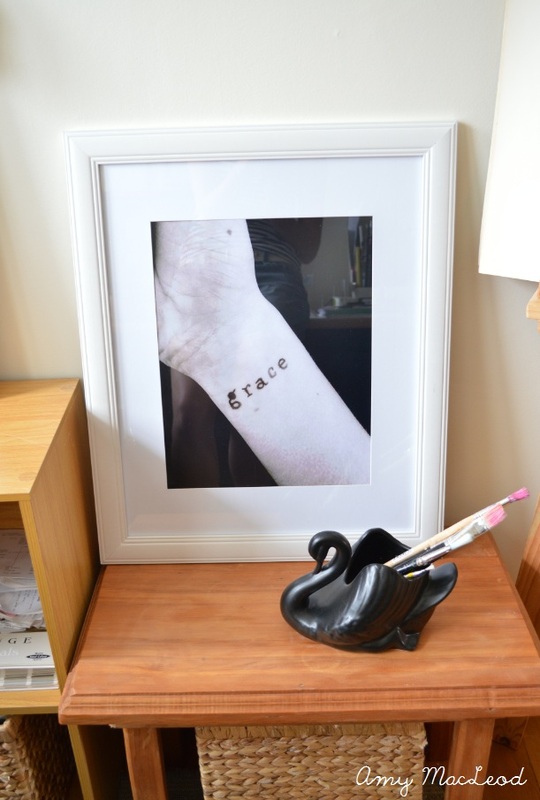 I don't have a tattoo, but if I did, I believe 'grace' would be it, in this same font. To me, these are the 2 things fundamental to why I even believe in celebrating Christmas. I tend to obsess over gifts at this time of year (soooo excited about Christmas morning) but without trying to be cheesy, God gave us these gifts in his Son, and I'm happy to have this reminder in our home. Wishing you grace, mercy, and a happy Christmas! How do you celebrate Christmas?? Merry Merry Christmas! Looking forward to the office reveal. I'll be spending my days with my family, lots of food, and presents. these are beautiful! what an awesome idea. love, love, love this. hope you had a very merry Christmas!